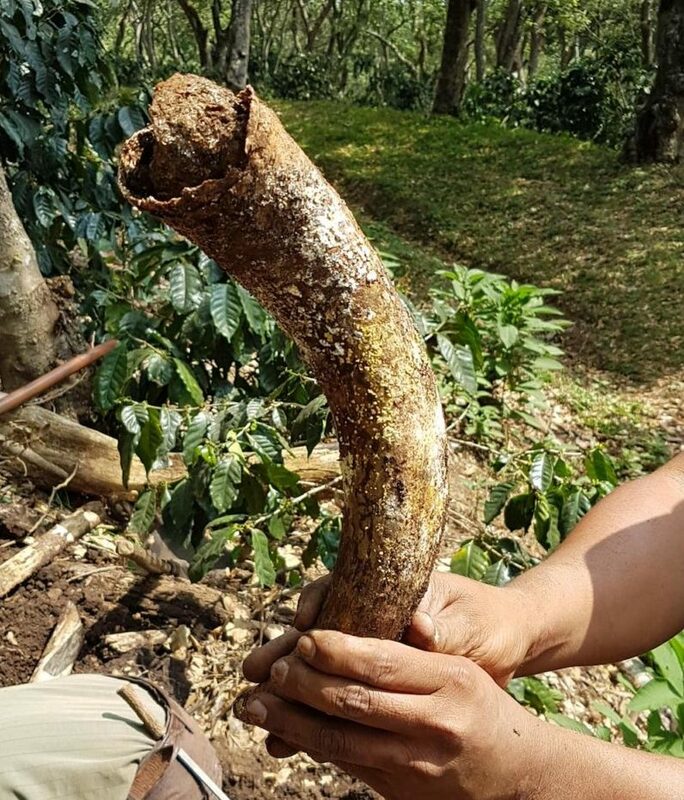 When Finca Santa Isabel recently shared photos from the farm, we were fascinated by an image of — well, we weren't sure what it was! But Alex Keller — the fourth-generation Keller to run the farm — explained that it's a cow's horn, used as part of Preparation 500, an organic compost process based on biodynamic principles. Biodynamic agriculture is in line with organic farming, but emphasizes the symbiotic relationship between plant care, animal care and soil health. 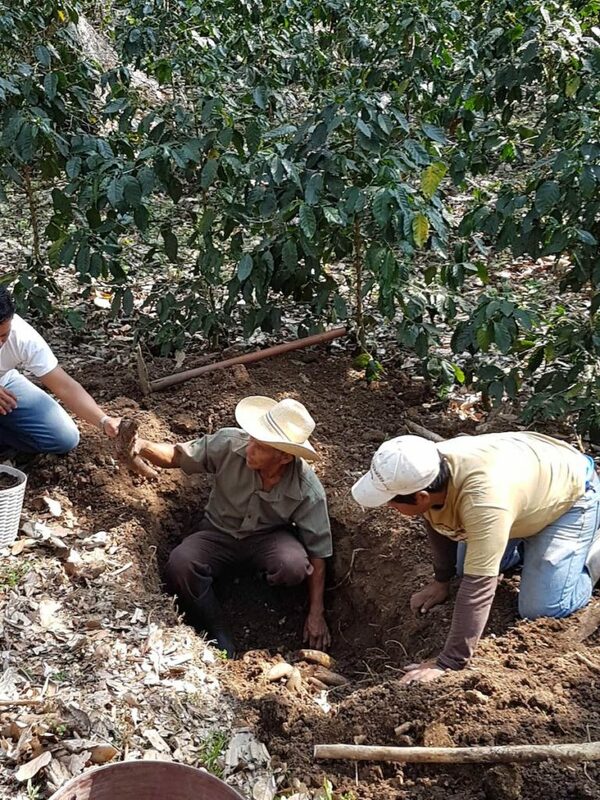 Digging up the horns used for Preparation 500, on Finca Santa Isabel. Soil from inside a horn used in Preparation 500. Preparation 500 involves filling a cow’s horn with cow manure and burying it underground for 6 months. 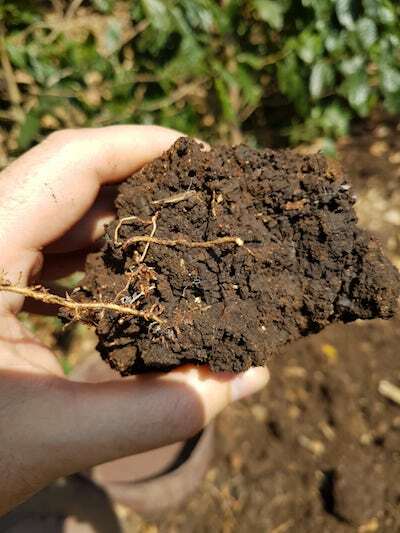 When unearthed, the manure is imbued with potent fertile properties that, when small amounts are mixed with water, make the soil more productive. There are versions of the Preparation (501, 502, etc.) that include adding various herbs, flowers or minerals to the horn; adding oak bark, for example, reportedly raises the ph of the soil, which can eliminate the need for lime. In addition to using Preparation 500, Finca Santa Isabel benefits from its herd of Pelibuey, short-haired sheep that not only “mow” the grass and eat the weeds but also produce natural fertilizer in the form of their manure. Both these methods — Preparation 500 and using sheep to upkeep the grounds and produce fertilizer — are indicative of Finca Santa Isabel’s longstanding commitment to improving and being stewards of the environment. Finca Santa Isabel is the oldest Rainforest Alliance-certified coffee farm in the world, according to Alex, and continues to operate based on principles of sustainability and environmental protection.